On a sweltering spring morning, the façades of America's National Mall shimmer in the sun. Their faces, mostly pale marble, stand sedately alongside one of the world's most august ceremonial spaces. At one end, in front of the white dome of the Capitol, protesters are shouting for President Donald Trump to release his tax returns. At the other end is a new addition, the National Museum of African American History and Culture, designed by a team of architects led by David Adjaye. Its façades of bronzed aluminum rise up in a jagged zigzag, each side catching the light differently. These are screens that can be stolid or shimmering, dark or light, depending on how you look at them. You could say the same about America: Enslaved people were once bought and sold in the heart of Washington, where the museum was opened in the fall by then-president Barack Obama. The architecture of the museum eloquently expresses that variousness. The building is designed to contain a set of historical narratives full of both despair and joy, inseparable from the larger culture and yet different. "To look at the building and see how it stands out – that's the experience of being a minority in a majority culture," Adjaye says. "There is this powerful American idea, that all men are created equal, but of course that hasn't always been observed. "Just by becoming visible" – and being different – "the building takes on all of these issues." This is a lot of symbolism for concrete and aluminum to carry, but this museum succeeds on those terms – thanks largely to Adjaye, who was to speak Friday in Toronto as part of the Art Gallery of Ontario's Creative Minds series. At 400,000 square feet, it is a massive and complex facility that captures a three-part narrative of history, community and cultural expression. Accordingly, the museum was designed by a large team: Adjaye Associates with Philip Freelon, Davis Brody Bond, SmithGroupJJR and 28 other consultants. Yet for all that, it is also an icon, a self-conscious symbol of what this place is and what it can be. Adjaye, the Ghanaian-British architect who has recently risen into the elite of his profession, doesn't shy away from architecture's power to articulate a narrative. Here, he's done so convincingly, with a museum whose sequence begins with claustrophobic underground galleries that depict the experience of slavery and rise toward daylight and the expressions of black culture that have changed the world. Along the way, the museum reveals a rich quilt of the black experience in America, beginning with the abduction of West Africans and proceeding upward through emancipation, the Great Migration and the civil rights movement, and cultural expressions that produce the P-Funk Mothership, Art Blakey's drumsticks and J Dilla's drum machine. It's dense with revelations, especially if you don't – as even most Americans don't – understand the variety and richness of early black cultures in America. The architecture has something to say about that link. The form of the building is a crown, what Adjaye chooses to call a "corona." It's derived from a sculpture by Olowe of Ise, a Yoruban craftsman of the early 20th century; Adjaye's scheme turns into an object on a plinth, then renders it in bronze. Along the way, "I wanted to alter the form so it makes that journey from African to African-American," he says. "The building plays that game: It learns an American technology, casting, and transforms into a screen." The reference is to architectural ironwork, a trade practised by black craftsmen in the U.S. South. Adjaye cites the work of Philip Simmons, a self-taught tradesman in Charleston, S.C., as a specific inspiration for the pattern on the façade, which was abstracted and varied using digital design. Seven different types of panels line the façade. An original piece of Simmons's work has pride of place within the museum. At the same time, the building sits at the end of the Mall, right where a procession of museums gives way to a precinct of memorials. Adjaye argues that the building serves as a "knuckle," bridging the two realms of contemplation and veneration. To bridge the gap, the angles of the corona precisely match those of the adjacent Washington Monument. You'll have to look hard to notice this, but when you see it, something clicks: The building is clearly Modernist in its form, evoking Marcel Breuer, but that doesn't mean a rejection of history. In Adjaye's hands (as with most of the greats of the past century), architecture that strives to invent a new language also draws upon the language of the past. Accordingly, the National Museum of African American History and Culture (NMAAHC) building provides a "porch," facing south, evoking the characteristic hospitality of the American South. This is the sort of reference that in other designers' hands could descend into kitsch. Adjaye avoids that trap. The museum sits at the end of the Washington Mall. A porch, of course, is an informal place, and the Mall is a highly formal space. It was defined by Pierre L'Enfant's 1791 plan for Washington and then the Beaux-Arts McMillan Plan of the early 20th century, which brought the Mall into its current pristine condition. The Capitol at one end and the prominent Lincoln Memorial at the other speak a Classical language. While the museums on the Mall are more diverse, the NMAAHC – dark, shimmering and spiky – introduces its own dialect. Through years of negotiations with government (the federal government paid half of the museum's $540-million cost), the architects were careful to present it as contextual and polite. "The regulatory environment in Washington is incredibly complex," says Freelon, whose firm was the architects of record and who was involved with the museum from its early planning stages. "We made a real effort to make the form of the museum fit what was expected," and the fact that more than half of the museum is underground testifies to this. "But the building, I think, continues to assert its own presence." It does. The building is not perfect – inexpensive materials and some undercooked details on the interior reduce its emotional impact – but the central ideas of the design remain powerful: the descent into the earth, the pause in a gorgeous "Contemplation Court" just below ground, where a fountain descends from the ceiling, then the ascent toward the present, with windows framing wary views over Washington's monuments. The ‘Contemplation Court’ features a fountain descending from the ceiling. 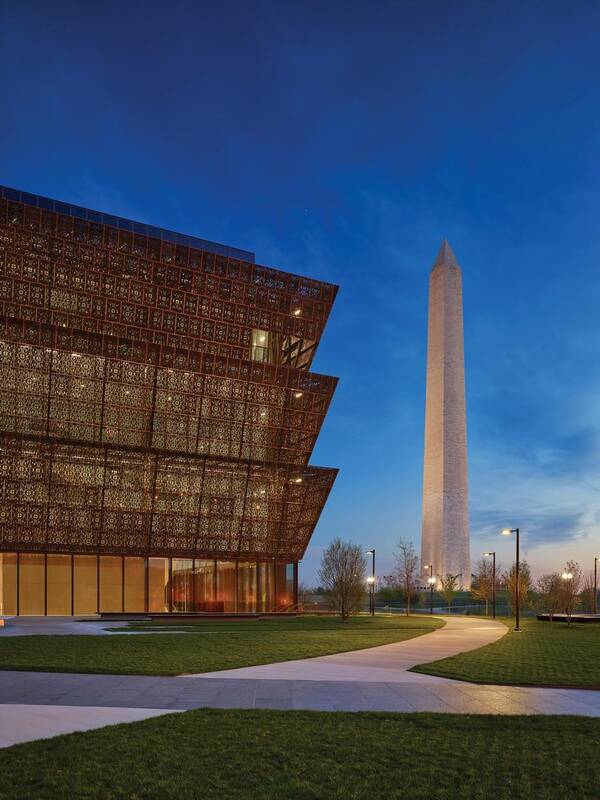 In an important sense, the museum speaks to the city around it, what Adjaye refers to as "outer Washington" – or, to put it in other terms, black Washington. More than half the city's residents are African-American, and the city is heavily segregated. 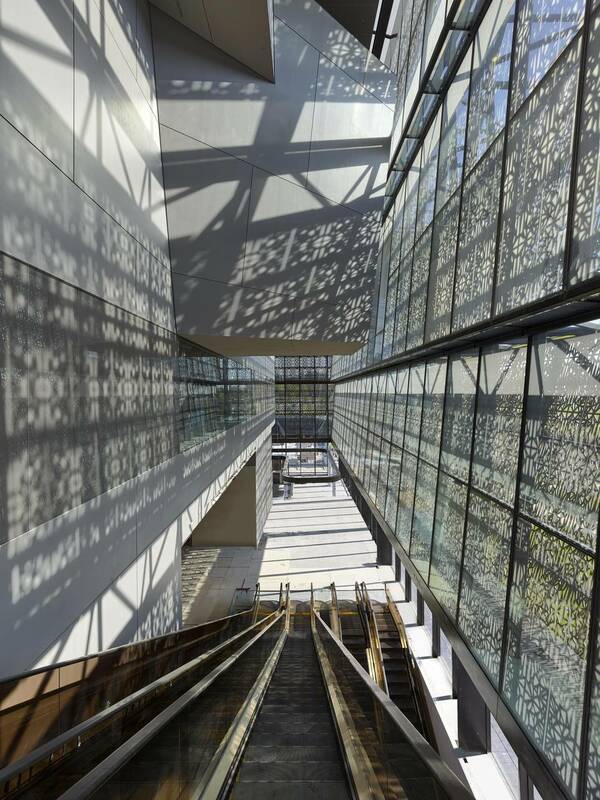 After winning the museum commission, Adjaye's firm designed two library branches – both moody, well-crafted and complex works of public architecture – in D.C.'s predominantly black Southeast. "My remit was to understand the community, to understand how users interact with institutional space," Adjaye explains. And what did he learn? "The sense of black Washington was that they never received anything of beauty," he says. People were resigned to the perception "that they had a somehow mundane experience and were supposed to make do with very ordinary things, quite apart from the ceremonial core of the city." That's already changed. When I visited the museum, it was Easter Sunday. There were many more people of colour there than at any of the other Smithsonian museums I'd seen, and as I sat down to lunch at the museum's excellent restaurant, families were gathering to feast on gumbo or Louisiana-style catfish. It was easy to forget the political tensions of the moment – or the centuries of strife and oppression that were recounted downstairs. People were celebrating. They felt at home. "That, I think, is the importance of building architecture that talks about diversity," Adjaye says. "Simply through presence, simply having a place that reflects oneself – that creates a quiet confidence." And that is a crowning achievement. 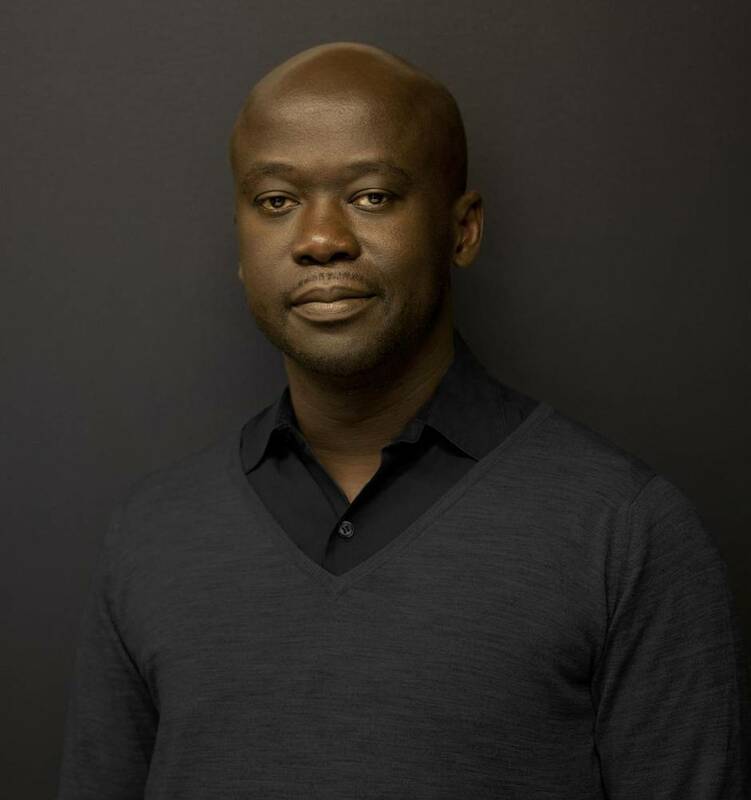 David Adjaye speaks Friday, April 21 at Massey Hall in Toronto as part of Creative Minds; the program will be broadcast on CBC Radio 2 at a later date.